Brilliant jazz reedist and bandleader Sam Rivers died on December 26, 2011, at the ripe old age of 88, after packing a vast amount of music into his career. His discography may not have been as lengthy as those of some of his peers, but he was a thrilling, prodigious performer right up until his passing; he pushed his ideas through several distinct eras of jazz history, and he always came out at the vanguard. He emerged in the 60s, cutting a series of excellent albums for Blue Note that split the difference between postbop and the New Thing without diminishing either. He discovered drummer Tony Williams when Williams was only 17, and he also played for a spell with Williams's future employer Miles Davis. In the 70s he was a key figure in New York's loft-jazz scene, giving it a crucial home at his Studio RivBea. During this era Rivers formed one of his greatest if least documented groups, a trio with bassist Dave Holland and drummer Barry Altschul. It's best known for appearing on the brilliant 1972 Holland album Conference of the Birds (ECM), with the addition of reedist Anthony Braxton—in fact, those sessions were the beginning of the group's history. After that only two hard-to-find recordings on Italian labels chronicled its work, which was fervently exploratory; the trio's fully improvised performances drew on jazz's entire history. 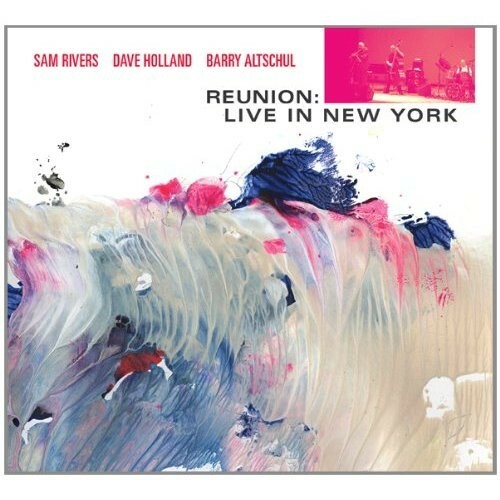 Sam Rivers, Dave Holland, and Barry Altschul, "Part 1"
In late May of 2007 Columbia University radio station WKCR organized a Sam Rivers festival, dedicating most of its airtime to the reedist's music for a week, culminating with a one-off reunion concert by his trio with Holland and Altschul. Last week Pi Records released a recording of that concert as the double CD Reunion: Live in New York, satisfying the curiosity of the many disappointed fans who couldn't attend. The two improvised sets they played were marvelous, picking right up where they left off in 1978—strong, swinging, and incisive, with not a hint of hesitation or tentativeness. Each set flowed without pause, one idea developing organically into the next; Rivers played mostly tenor and soprano saxophones but also a bit of piano and flute. Below you can check out "Part 1" from the first set—an artificial designation to make navigating the CD a bit easier. It drives home how fantastic this trio was and how unfortunate it is that we don't have more documents like this.